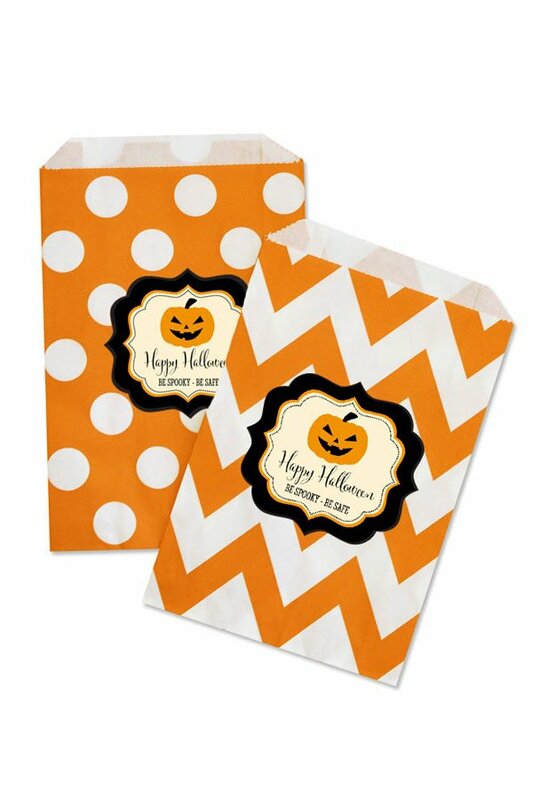 Halloween stickers are perfect for decorating your candy bags, guest souvenirs, and mre. 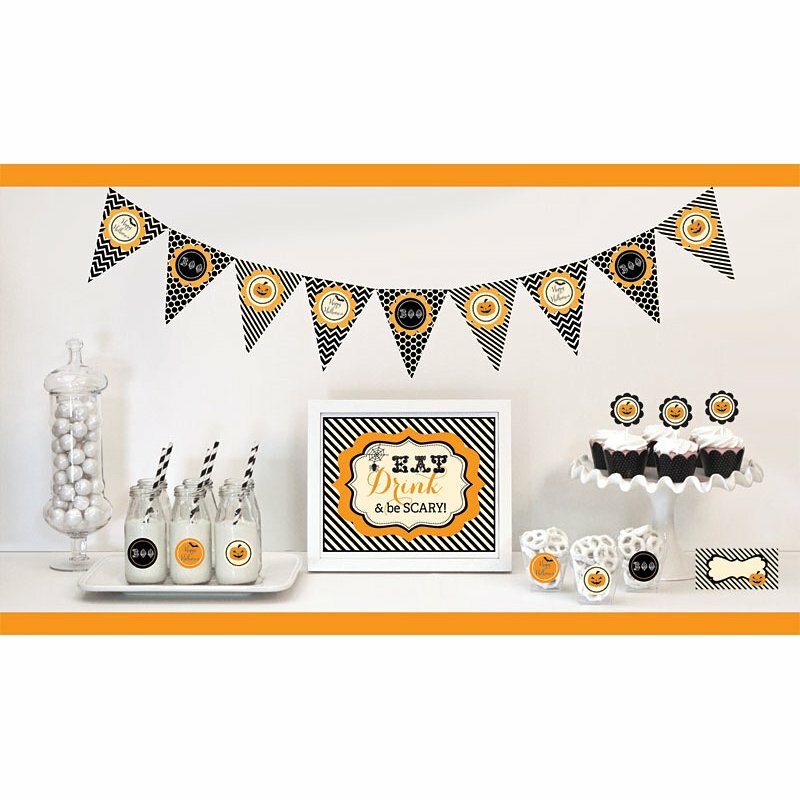 These Personalized Spooky Bat Halloween Party Favor Stickers are decorated with a flying bat design and includes two lines of personalized text. 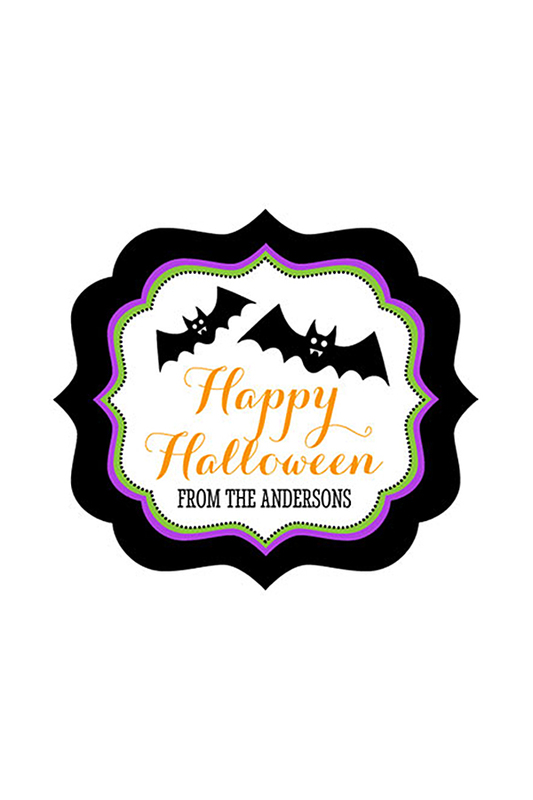 Colored in our spooky Halloween themed hues of black. 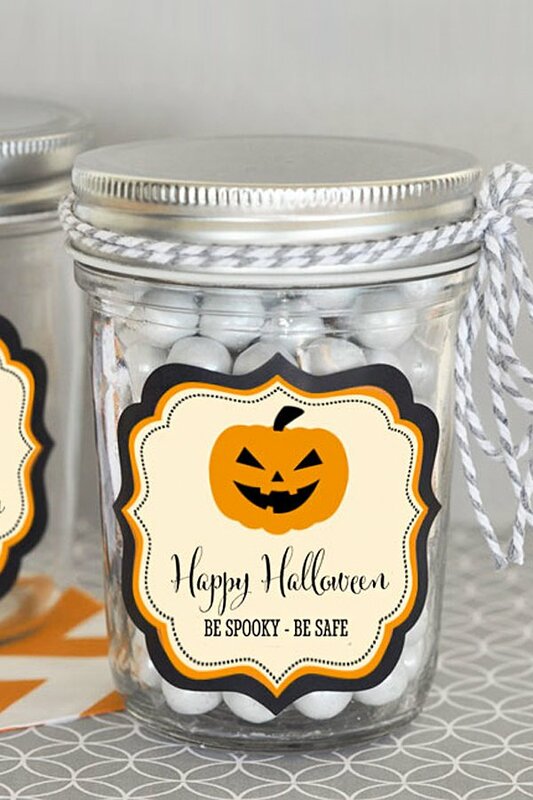 purple, green and orange - these labels are the perfect complement to a Halloween-themed costume party or birthday bash.